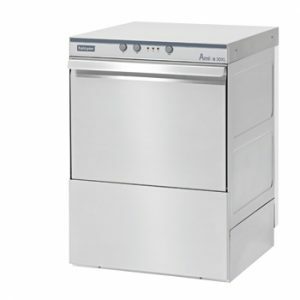 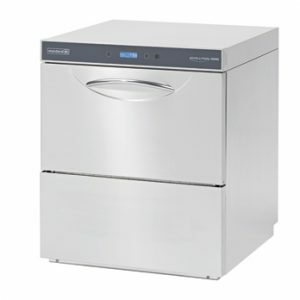 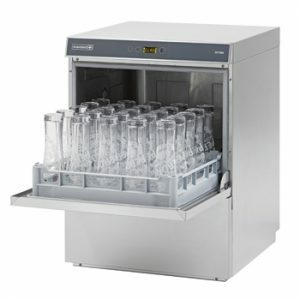 An undercounter machine that can be configured to wash dishes, glasses or bistro items. 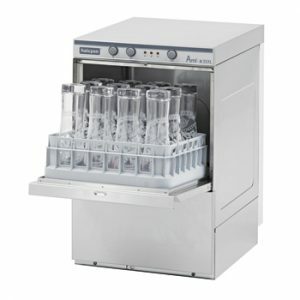 Washes upto 48 racks per hour. 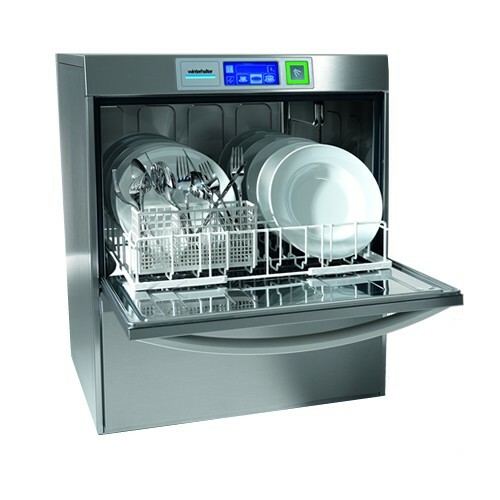 With integral softener.